Hooray! "The Sweet Life" hits stores this week! Today was definitely a good mail day for us! And hopefully there's an equal feeling of excitement being felt at shops around the country...and the world. 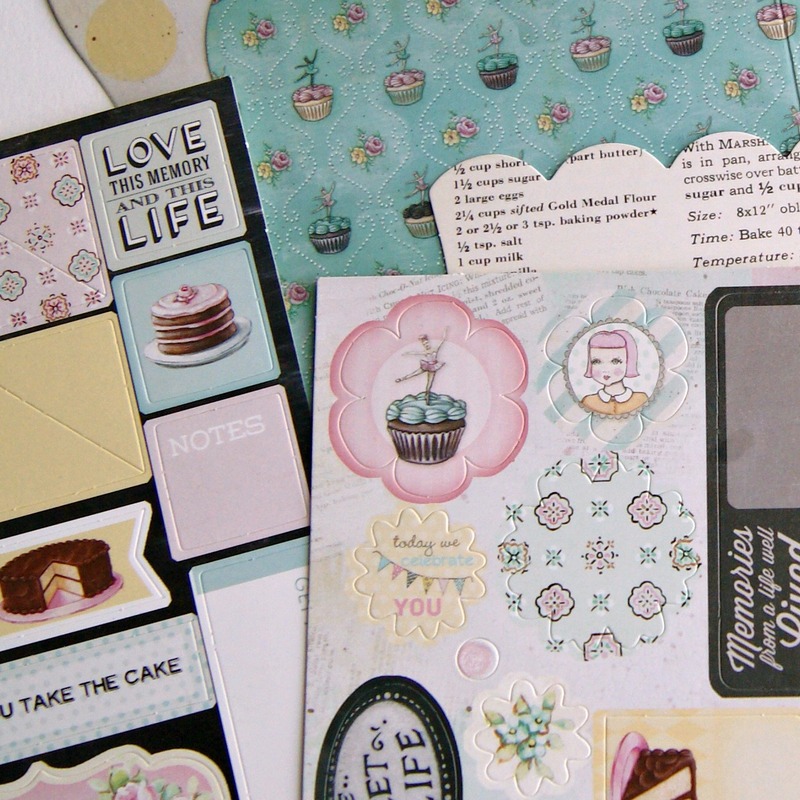 In our mailbox was a package full of items from our scrapbooking collection "The Sweet Life", which is the first offering from our partnership with Melissa Frances...and we couldn't be more excited about it. And if it arrived in our mailbox today, then that means that there is a pretty good chance that lots and lots of stores have received their shipments of the collection as well. Which is SUPER exciting! On the one hand it feels like we've been waiting forever for it to arrive...and on the other it feels like just yesterday that we were designing the stuff. A major highlight in the whole process was our trip to CHA. Just being there with the line and having the chance to talk with all the shop owners who will be carrying the collection was such thrill. 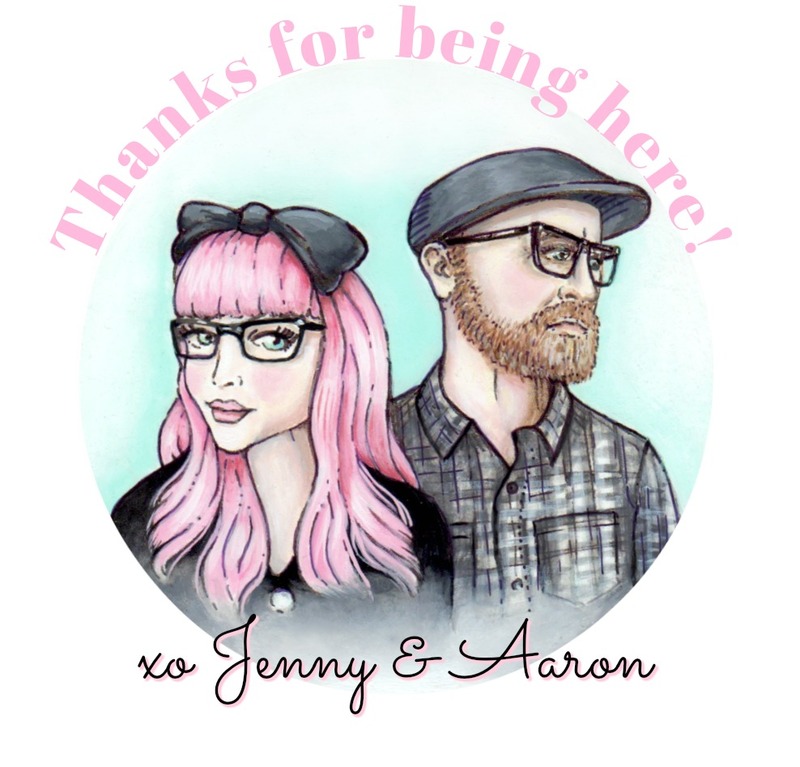 Everyone was so enthusiastic about the collection...and probably one of the coolest things was how many times we'd meet someone at CHA and it turned out that they have been longtime readers of the blog. Also, so many shop owners came to check out our line after being tipped off by one of our faithful readers...which just totally melts our hearts. A huge thank you to all of you who have been cheering us on from day one! 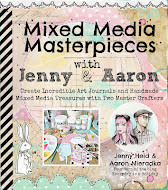 We hope you love the collection as much as we loved designing and painting it! In today's package there were lots of goodies. 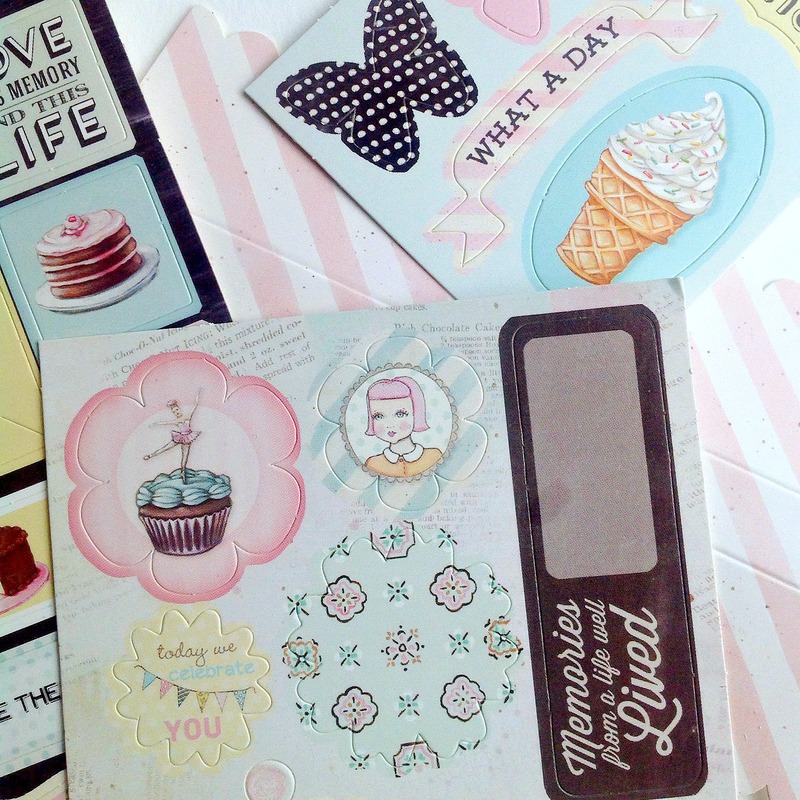 Above you'll see chipboard pieces, Washi Stickers, Treat bags, journaling cards, and sweet saying stickers. 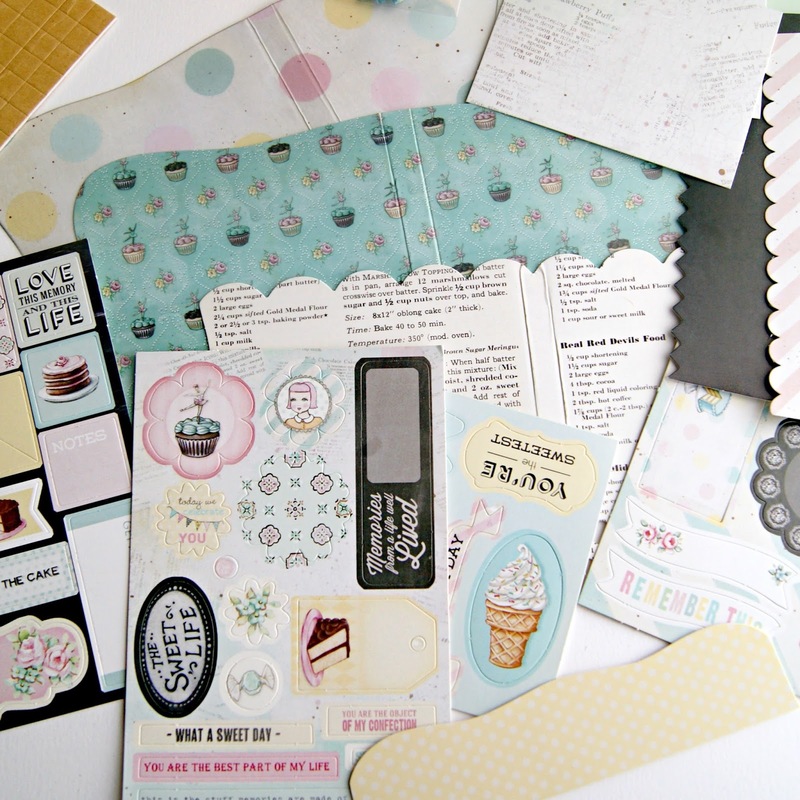 And this here is a very very cute mini book kit! It comes with everything that you see here! 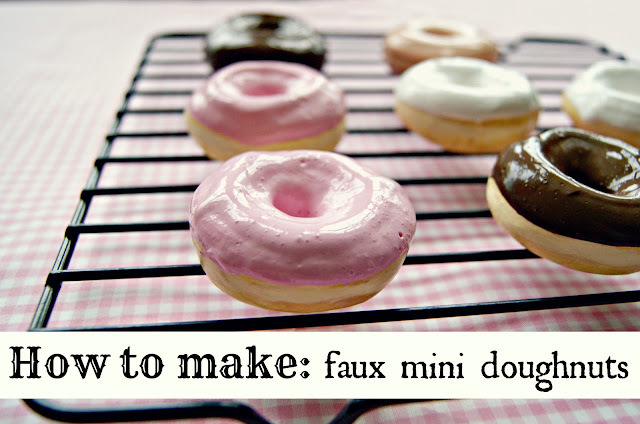 I love this tiny little "Sprinkle every day with Fun" element! Look at our tiny ice cream cone! 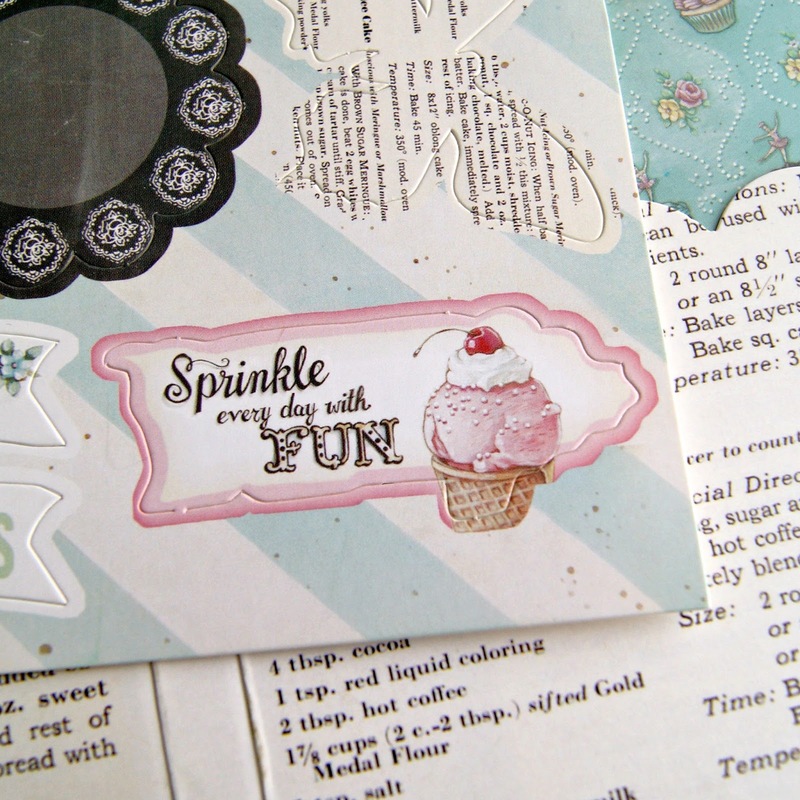 There are so many sweet little bits to adorn your pages! It is really such a fun little kit! 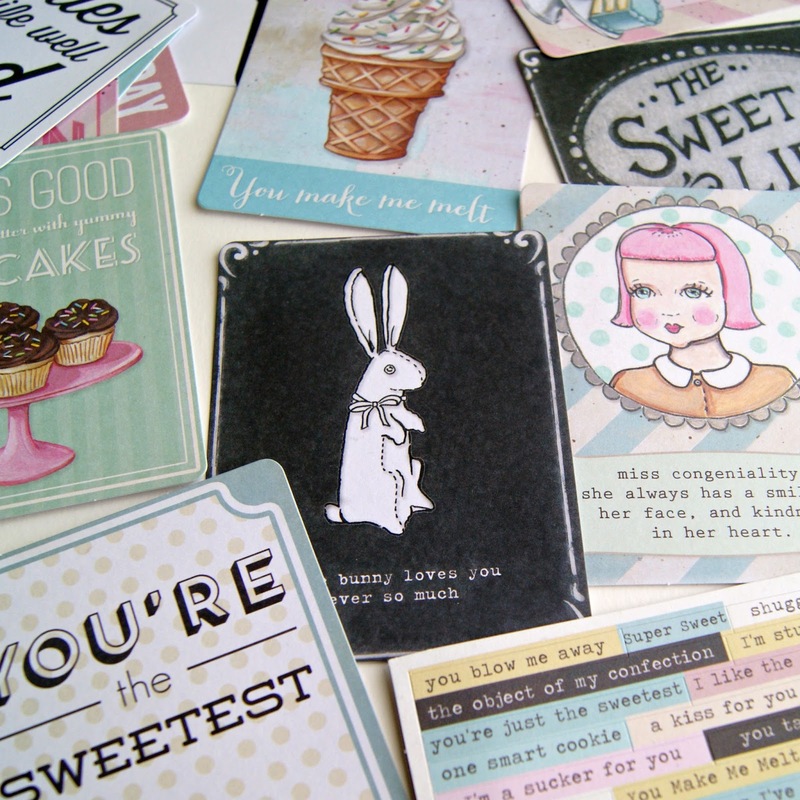 And the journaling cards are so adorable! They would be perfect for project life! I love seeing our bunny here rendered chalkboard style. And treat bags! Aren't they so sweet?! You get this variety of 4 in each pack! We are just so excited to have these in our hands. 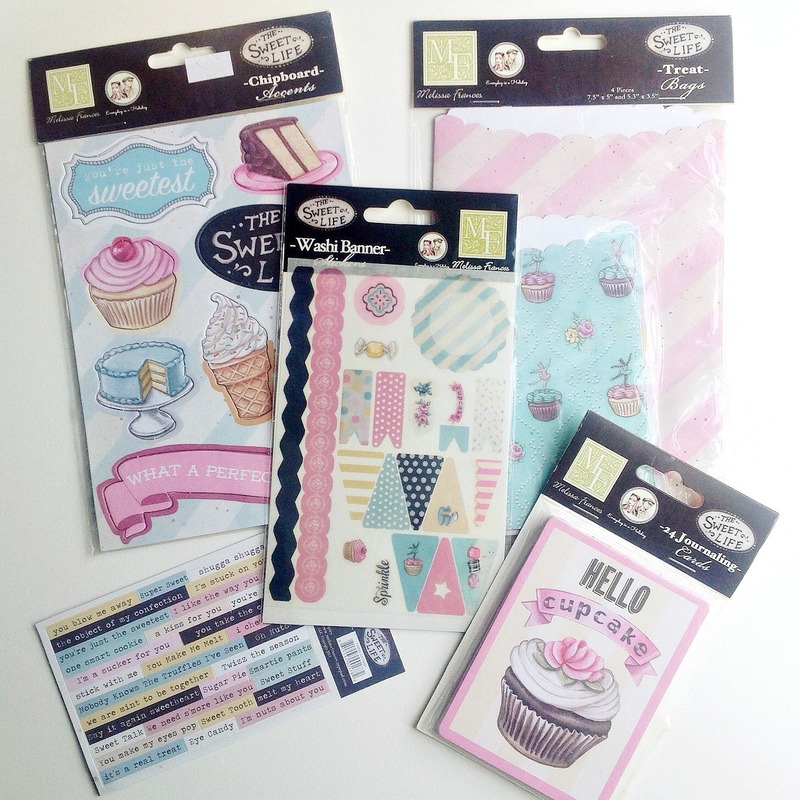 Cannot wait to start creating and crafting! And of course our papers! 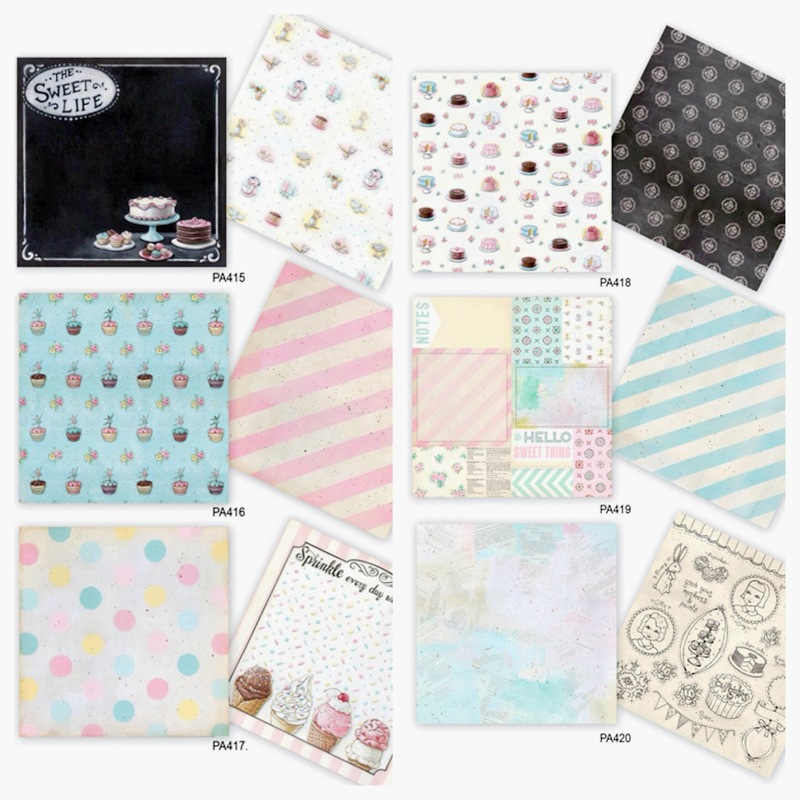 6 Double sided sheets! 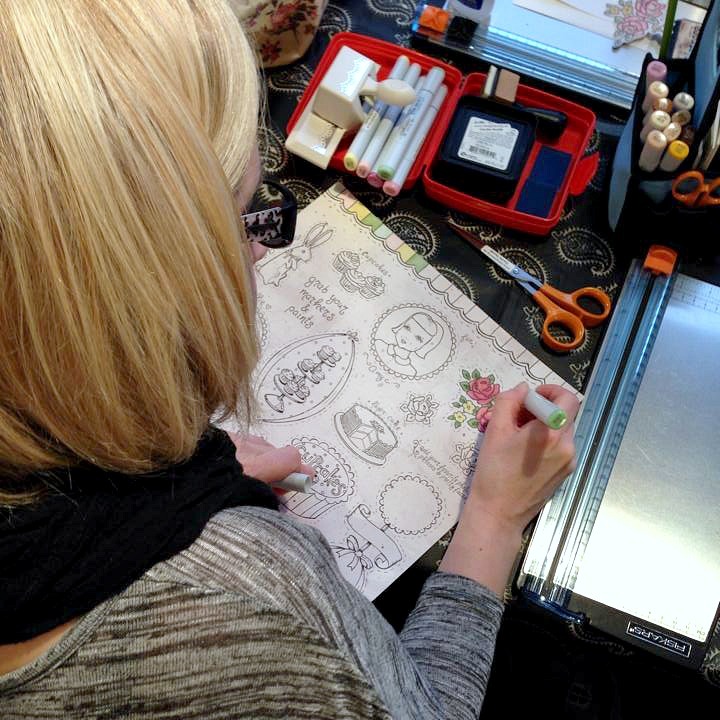 We blogged all about our special design process...each pattern is hand painted by us. Oh and I just had to share these pics that Carolyn Peeler sent us. Carolyn, who you may know, is the Senior Creative Director at Melissa Frances, and she was just in Norway teaching at a fabulous shop called Bikuben. We blogged about meeting the sweet owners Ellen and Egil at CHA, and later had a fantastic dinner date with them. 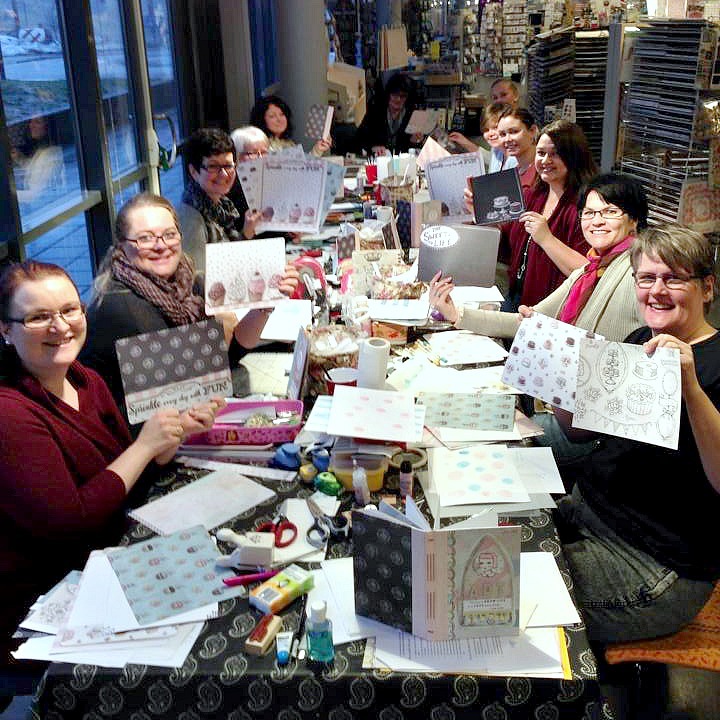 Well, they carry "The Sweet Life" at Bikuben, and Carolyn took the trip there to teach some classes that featured our line. 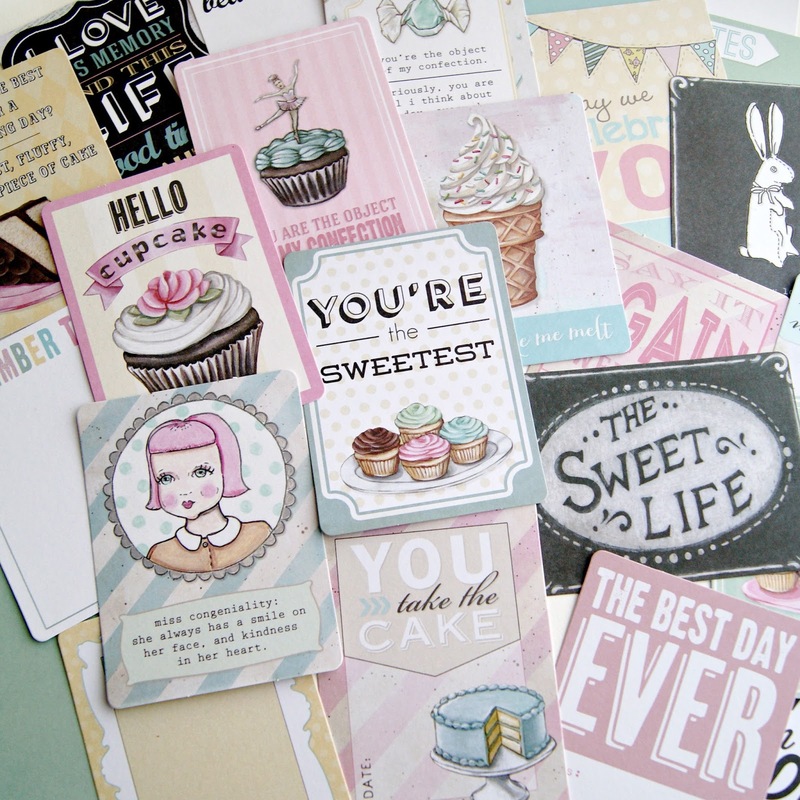 And from what we hear, they loved working with "The Sweet Life" collection! Carolyn asked the class attendees in the pic above to hold up their favorite papers! So fun right? Seriously, we LOVE putting our work in the hands of other artists and seeing how they go off in their own creative direction. 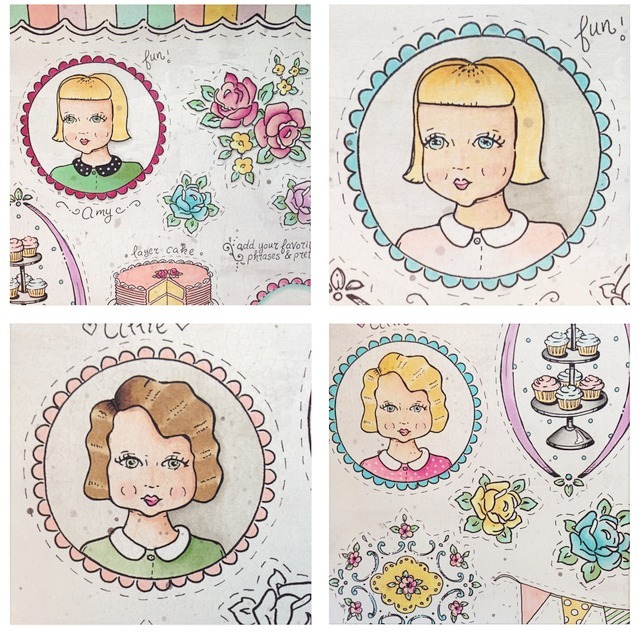 And we just love these samples Carolyn colored using Copic markers. 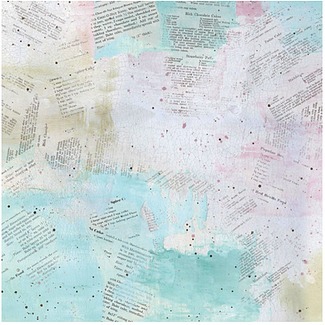 Above you can see the two sides of our paper titled "Mixed Media Doodles". One side has layers of vintage baking book pages collaged with some of our abstract painting strokes. 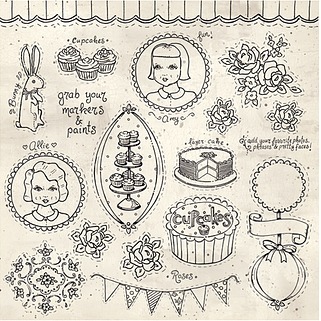 And the other is an antique-y looking coloring book style page featuring Allie & Amy! some of our roses, a cake, cupcakes, a bunting banner, scrollwork, and other things that are ready and waiting for you to work your magic on! 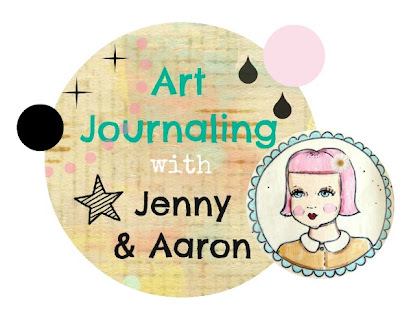 Perfect for Art Journaling! 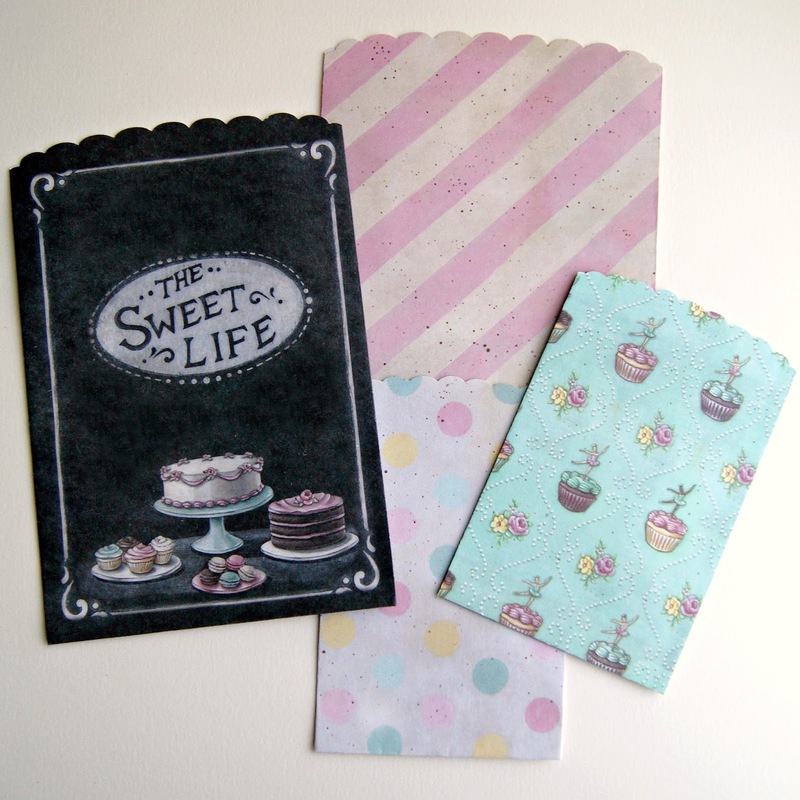 We will be carrying "The Sweet Life" collection in our shop very soon! But you can always let your favorite loal shop know about it as well! Thanks bunches for popping in and for being such awesome cheerleaders! We couldn't have made this collection without you all. Oh my gosh!!! I can't wait. My poor local paper shop owner is probably sooooo sick of hearing me ask if it's there yet! I might just have to buy it all. Really cool! I love anything paper ;) Hope we get it around here in NC soon! Congrats! I am so excited!! I have been stalking my fave stores for MONTHS looking for these!!! And I spy one of my all time fave crafters in that photo above! *Lou* is AMAZING!! Love her!!!!! I'm so excited for these to pop up in the store! So exciting! Will it be available at places like Michaels? You can tell that you put so much work into this. It all looks great. It's a very sweet line! I hope I can find it around here. These are going to be AWESOME!!! So excited to use them!